WICHITA, Kan. (AP) — A California man has asked for 20 years in prison as his punishment for making a hoax call that led police to fatally shoot a Kansas man following a dispute between two online gamers over $1.50 bet in a Call of Duty WWII video game. Tyler R. Barriss, 26, faces sentencing Friday in federal court in Wichita for making the false report resulting in a death. His attorney argued in a sentencing memorandum that Barriss never intended for anyone to get hurt and his conduct was an outgrowth of the culture within the gaming community. As part of the plea agreement with federal prosecutors, Barriss pleaded guilty in November to a total of 51 federal charges that included some initially filed in California and the District of Columbia related to other fake calls and threats. He seeks the shortest term allowed in that plea deal which calls for 20 to 25 years in federal prison. Defense attorney Rich Federico portrayed his client as sincerely remorseful for calling Wichita police from Los Angeles on Dec. 28, 2017, to falsely report a shooting and kidnapping at a Wichita address. A police officer responding to the call fatally shot Andrew Finch, 28, after he opened the door. Finch, who was not playing video games, lived at the gamer’s old address. In a letter to the Finch family, Barriss wrote that he thinks every day about how his actions led to his death. He asked for forgiveness and expressed his “hope that my sentence may in some way help you feel better that justice is done,” according to the filing. Swatting is a form of retaliation sometimes used by gamers, who call police and make a false report to send first responders to an online opponent’s address. 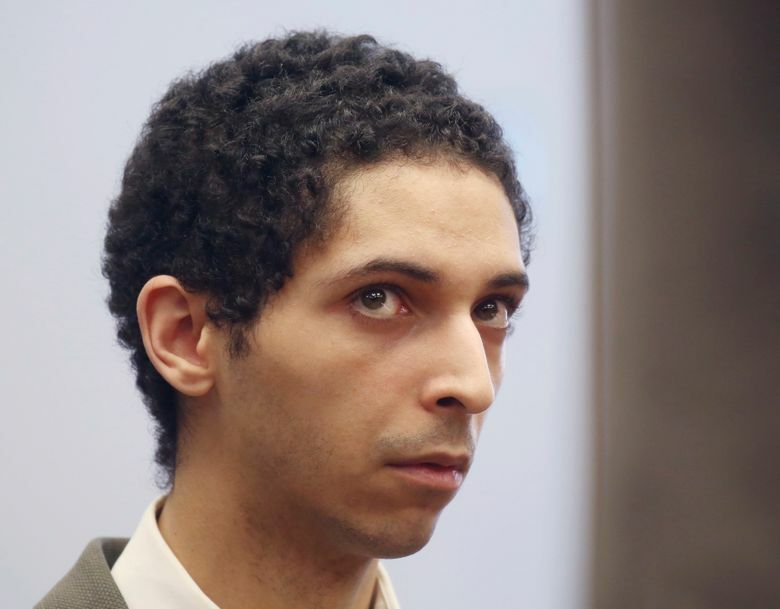 Barriss’ defense attorney argued that the notoriety of being a known swatter within the gaming community “became an intoxicant” to him and incrementally desensitized him to real world consequences. As a young man, he spent almost all of his time indoors playing video games. His only family was his grandmother. He was homeschooled until he quit school altogether. Barriss has never had a job. At the time of his arrest he was living in a homeless shelter in Los Angeles. It is unclear what will become of separate Kansas charges. Barriss is scheduled for a March 4 trial in Sedgwick County District Court on state charges of involuntary manslaughter , giving a false alarm and interference with a law enforcement officer. Also charged as co-conspirators in the federal case in Kansas in connection to the deadly swatting call are online gamers Casey Viner, 18, of North College Hill, Ohio, and Shane Gaskill, 20, of Wichita. They have pleaded not guilty to charges including conspiracy to obstruct justice, wire fraud and other counts. Their trial is scheduled for March 19 in U.S. District Court in Wichita.